This post talks about Gaming Mouse in General and provides Alternative way to help playing Online Games, MMORPG Games, FPS Games and everything else. All Gaming Mouse provides programmable extra Mouse Buttons which you need to learn how to use. Apart from adjusting your hand and fingers to new Physical Mouse, you need to understand how it’s software works. As there are lots of Gaming Mice available on internet, it can be a really difficult decision as everybody’s hands are different and we all are accustomed to different mouse clicking habits. Yes you must carefully select the Gaming Mouse you wish to buy, as it is a hardware product and no seller would take it back until and unless it is faulty. No hardware seller would refund you money only because you could not understand the Gaming Mouse Software or because you feel it is difficult to adjust your fingers to new Mouse. The Extra Mouse Buttons do provide programmable Macros , however the buttons are many times too difficult to click. Apart from adjusting your mouse clicking habits, you need to pay a hefty price for the mouse and wait for the seller to ship you the Gaming Mouse. 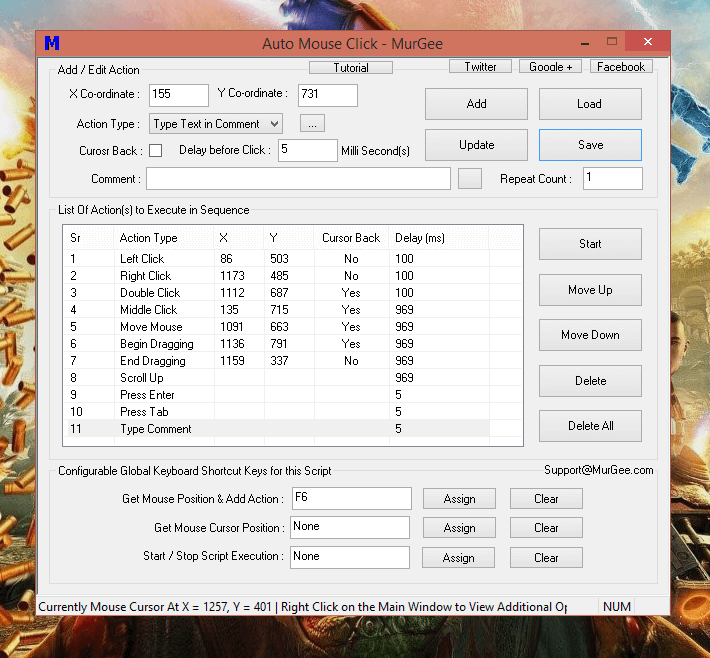 An easy and quick alternative to buying a Gaming Mouse is to use a Mouse Automation Software. The Software Alternative to Gaming Mouse allows you full control over what all types of Mouse Clicking you can do and the best part is that you can download and try out the Gaming Mouse Software for Free. Yes even if you buy a Gaming Mouse, you would need to download and install appropriate software and learn it before utilizing the true power of your Gaming Mouse. A Physical Mouse has traditionally Left Click Button, Right Click Button and a Scroll Wheel which works fine in most of the cases. Yes the Developers of Games know that everybody cannot have a Gaming Mouse and hence they design their Games in such a way that the Game can be played with a traditional Mouse and Keyboard. The WASD Keyboard Keys are to the left hand side of the Keyboard and hence allow easy game control along with Mouse control with Right hand. Effectively most of the Gamers play Video Games with both hands, controlling Mouse Movements with Right hand and the Keyboard keys with left hand. 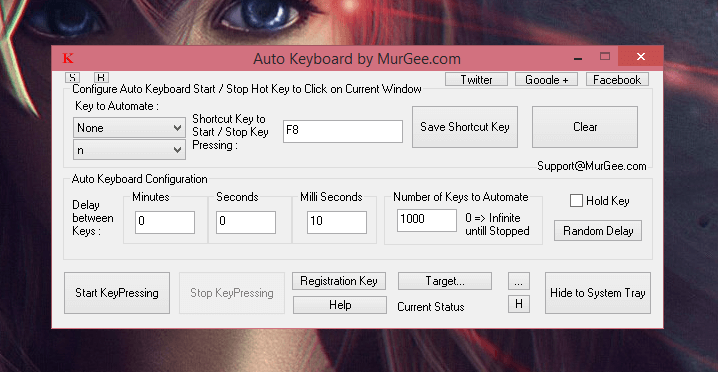 Auto Clicker is a cheap and traditional alternative to Gaming Mouse and is used by lots of Gamers around the world. Yes there are hardware Alternatives to a Gaming Mouse such as Trackball, Joystick, etc, however they all need appropriate software to do Mouse Clicking and Keyboard Key pressing. Whether you play a single Game or Multiple Games, irrespective of Gaming Mouse you have, you do need an appropriate software which can be used in almost every Game. Automated Mouse Clicking controllable by a Macro, Fast Clicking, Automatic Key Pressing and much more is all a Gaming Mouse is supposed to do. Yes Precision Clicking is one of the factors as well, however if you do have to click precisely at a single pixel location using your mouse movements by hand, then your Gaming Mouse is no good as compared to a traditional cheap office Mouse. How about a Gaming Mouse Alternative which you can download right now and use it as a Gaming Mouse Alternative ? Using an alternative would give you complete confidence about the software product you are downloading and you do not have to wait for the seller to send you the Gaming Mouse by courier. In case the Gaming Mouse Alternative sounds like a good idea, do proceed ahead and visit the Best Auto Clicker for Games Link which provides a list of Auto Clickers which you can download and use right now. As all the Mouse Clickers mentioned in the above Link are generic in nature, you can use them in any Game you want. Yes there is a little bit of learning to do, but every Gamer wants to learn new stuff all the time. There are enough Video Tutorials for every Mouse Clicker and learning the new software should not take more than few minutes. 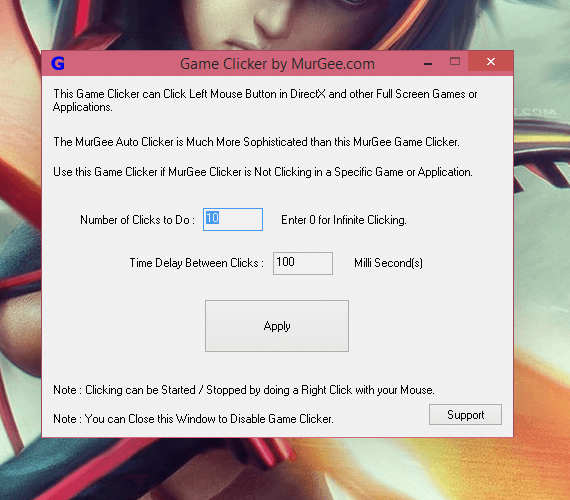 using an Auto Clicker as an Alternative to Gaming Mouse can really save you Time, Efforts, Money and as it is a free to download and try software product, you do not need to worry about anything. Few Downloadable Games are protected by Anti Bot Techniques like Gameguard or something like that which all give a tough time for Auto Clickers to function. However Game Protection software applications do allow Manual Mouse Clicking and pressing Keyboard Keys Manually. This is the field where most Auto Clickers fail and need the usage of Gaming Mouse and it’s appropriate software to do Automated Mouse Clicking, Automated Keyboard Key Pressing, etc. 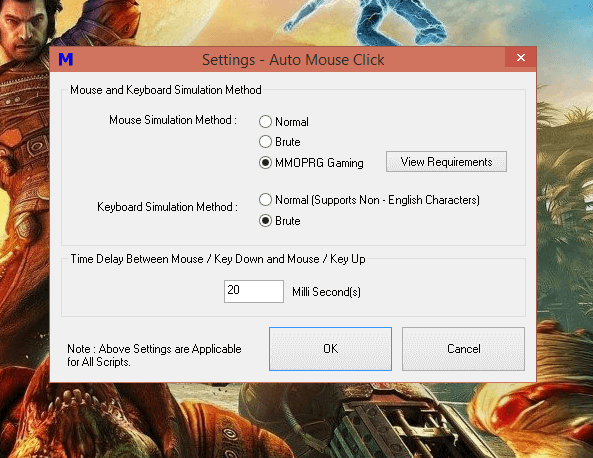 The Gaming Mouse Software as displayed in the Screenshot above allow the exact same functionality as offered by Physical Gaming Mouse. 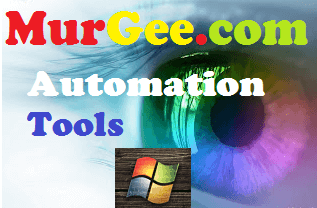 You can do Fast Clicking with Manual Right Click and you can also define the time interval duration between automated clicks and configure the number of clicks to automate. 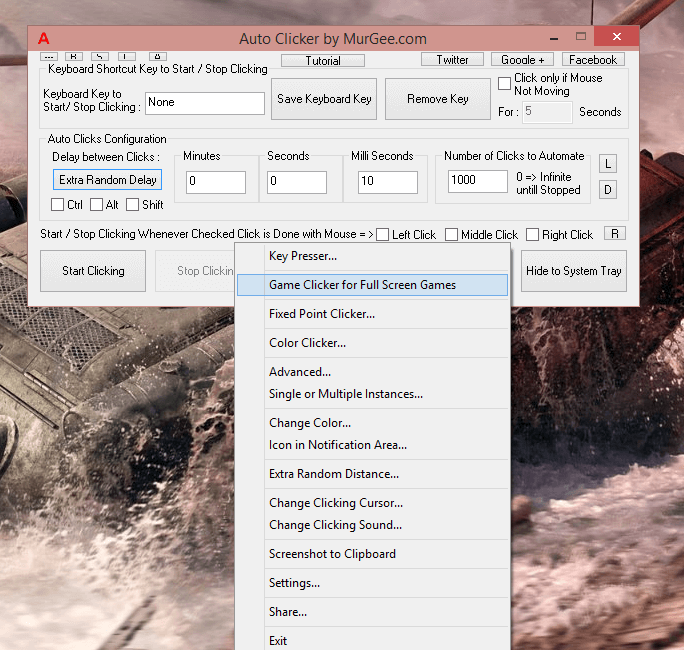 In case you need to have more control over Mouse Clicking as offered by a Gaming Mouse, you can use the Auto Mouse Click Utility. This Utility offers a full fledged Gaming Mode in which you would need to install a device driver. Once you have setup the MMORPG Gaming Mode, you are ready to automate Mouse Clicking with precision to a single pixel and yes you can do much more. Apart from Automate Left Mouse Click, you can also do Double Click, Right Click, Scroll Up, Scroll Down, Keyboard Shortcut Support, Text Typing (with English and non English characters) and much more packaged in a single macro script. The above mentioned software applications work together to give you the perfect Gaming Mouse Alternative. Download any of the Software for Free and use it with your current Physical Mouse and Keyboard without spending money to buy a Gaming Mouse. Now you do not need to waste time and efforts reviewing hundreds of Gaming Mice and buy expensive device which you do not need. The best part about this Gaming Mouse Alternative is that it can be changed or customized as per your requirements and gives you full control. Use your existing Mouse and Keyboard and let the Software do the task of helping you play any Video Game you like.